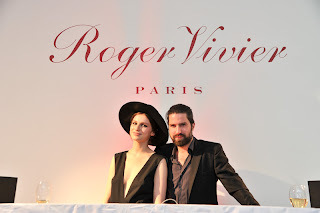 Roger Vivier is one of those revived brands that manages to retain its air of exclusivity while consistently getting it right in terms of direction. It’s the sophisticated choice for heritage lovers who like their Euro-Chic. The women who flock to RV have style and aren’t afraid to show it. 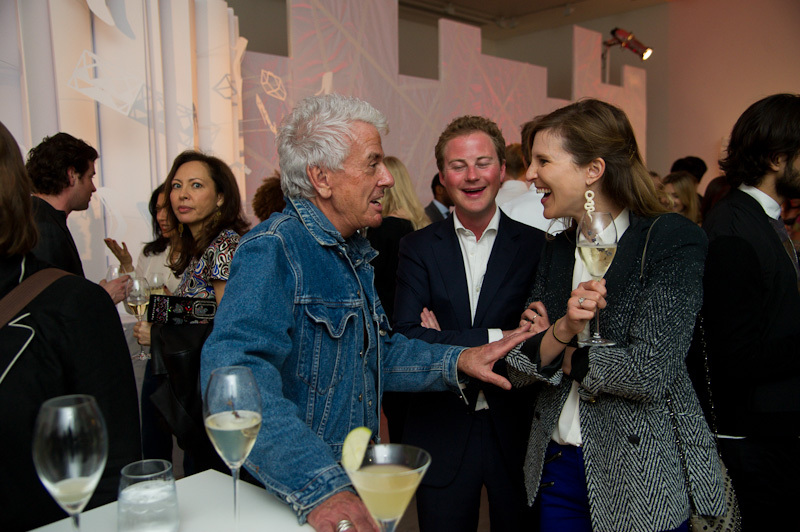 Last night, the brand celebrated it’s new tome to the house style. 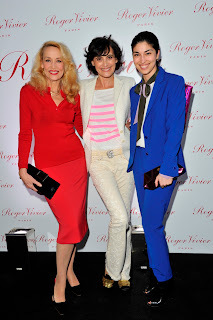 Roger Vivier’s Ines de la Fressange, Brand Ambassador and Bruno Frisoni, Creative Director hosted the most elegant of cocktail parties at the Saatchi Gallery to celebrate the launch of Roger Vivier published by Rizzoli New York. The book is a glorious ode to the evolution of Roger Vivier from an iconic and inspirational shoe brand to sophisticated, contemporary Parisian luxury accessories Maison with international appeal. London’s Saatchi Gallery was the fitting venue for the glamorous party, as soft pink tinged light welcomed guests through the white on white entrance with huge white paper gardenias displayed and on into the Roger Vivier exhibition which showcased large scale images from the book. 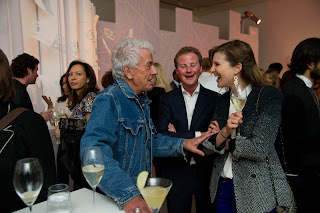 An eclectic line up of DJ’s wowed guests and included special performances by Tali Lennox and Jack Guinness with renowned duo, Dan Lywood and Ben Bridgewater, taking over during the later part of the evening. 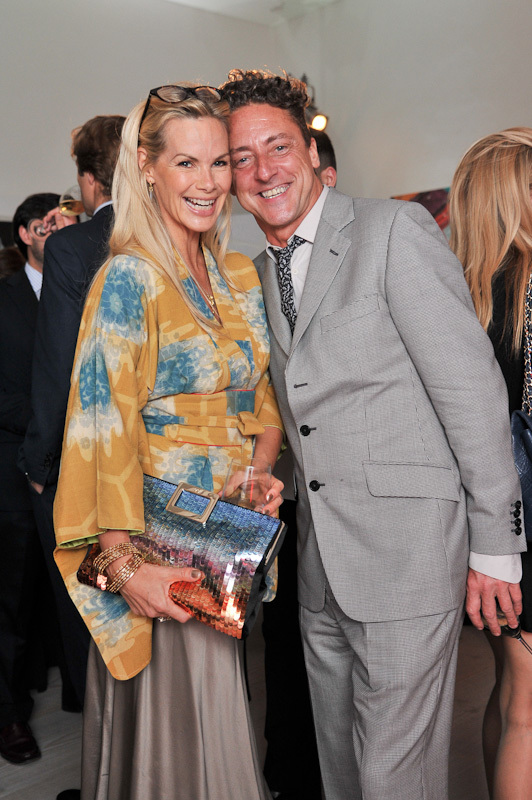 Laurent Perrier champagne and canapes were served as more and more celebrity attendees arrived to celebrate the launch. Vivier well heeled guests included Tali Lennox, Jack Guinness, David Gandy, Jerry Hall, Bip Ling, Marie Helvin, Jasmine Guinness, Guy Pelly, Kinvara Balfour, Sara Brajovic, Tamzin Merchant, Jack Fox, Freddie Fox, Camilla Rutherford, Amanda Ferry, Olivia Grant, Saffron Aldridge, Debbonnaire Von Bismark, Maryam d’Abo, Allegra Hicks, Caroline Issa, Fiona Scarry, Nicky Haslam, Yasmin Mills and Amber Atherton. A Limited Edition Prismick Shoulder bag was created to mark the occasion. It sits majestically alongside a reinterpretation of the classic Comma heel pump, re-launched by Bruno Frisoni for Fall-Winter 2013/2014 from an original 1963 design by Monsieur Roger Vivier – in classic mirrored silver. Roger Vivier, published by Rizzoli New York, released globally on April 5th, is available for purchase at all 14 Roger Vivier boutiques and in fine bookstores.